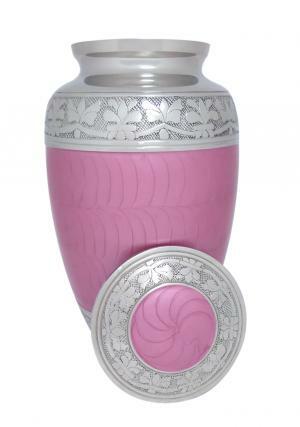 Elegant Pink Enamel and Nickel Adult urn has the engraving of nickel finish on the brass metal urn with encryption of floral design on top and bottom of the adult urn. 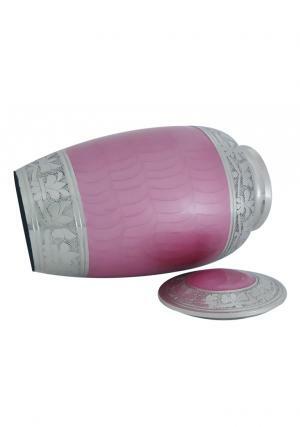 The Elegant Nickel finish with pink enamel of structured waves makes it beautiful decorative piece for a gift to family for the love towards demise. 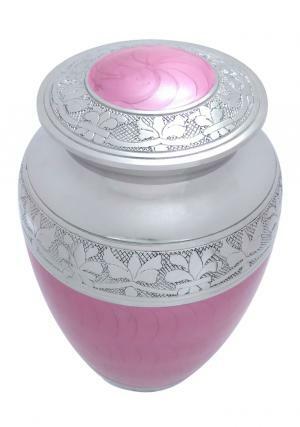 The Pink enamel on the lid of the urn is edged with nickel engravings of floral design with screw threading to secure the ashes of the loved one’s. 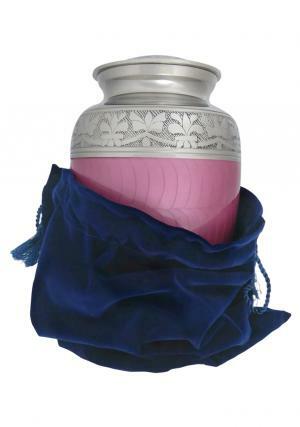 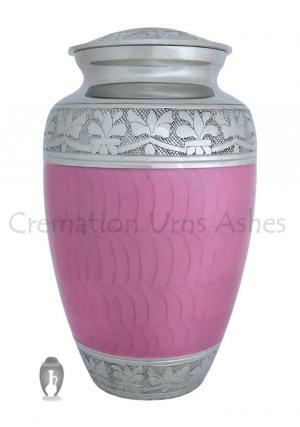 The Elegant Pink Enamel and Nickel Adult memorial urn has dimensions with 10.1 inch height, 6.1 inch width and 1.84 kg in weight which is capable to carry 200 cubic inch of adult human ashes in the urn.